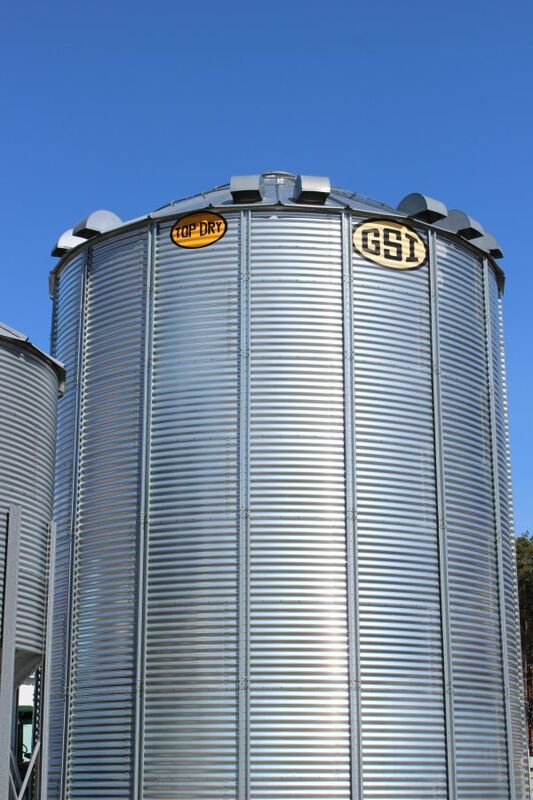 Proven to be one of the most efficient methods of drying grain, top dry dryers recycle heat that not only improves overall efficiency; it also greatly reduces drying costs. Rather than simply blowing the heat out of the top of the cooling bin, top dry dryers dry a layer of grain in the overhead drying chamber, dump that grain into a holding area below, and then capture the heat from that cooling batch to help dry the next load. 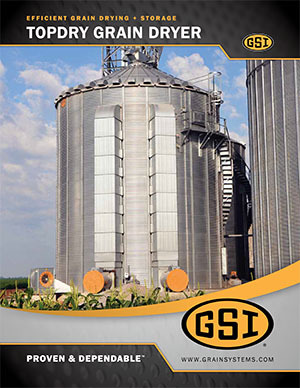 Michigan Agri-Systems proudly partners with GSI to supply the highest quality equipment for your grain drying needs. You can rely on our over 40 years of combined industry knowledge and experience to ensure that your equipment is installed to spec and ready to perform for years to come. Drying fans are placed on the ground with ductwork running up the side of the bin. This provides a better heat mix and more even plenum temperature, which leads to consistent moisture levels. Fan heater access is on the ground for easy maintenance. Optional delivery system recommended only when ductwork is not a viable option. Fan heater is mounted high on a platform, feeding air directly into the bin. Contact us toll free at (800) 370-4884 or visit us at 5597 S. Huron in Pinconning to learn more about industry leading top dry dryers from Michigan Agri-Systems.